of the Evangelical Lutheran Church in Bavaria. On behalf of the Evangelical Lutheran Church in Bavaria, Mission EineWelt fosters relations to 22 Lutheran churches all over the world and attends to more than 70 church districts, institutions and schools in terms of partnerships. Do you have questions concerning our word-wide relations? The Evangelical Lutheran Church in Congo known as “Église Evangélique Luthérienne au Congo”, EELCo, based in Lubumbashi in the south east of the country, consists of 8 church districts and is a member of the World Council of Churches, the Lutheran World Federation (LWF), the All Africa Conference of Churches and the Lutheran Communion in Central and Eastern Africa (LUCCEA). 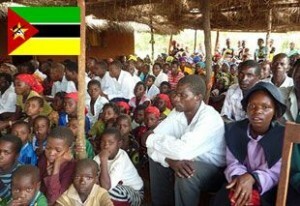 In addition, it fosters partner relations with churches and mission organizations in Tanzania and Germany. 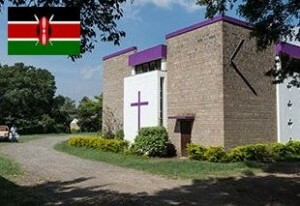 The Kenya Evangelical Lutheran Church (KELC) is a member of the Lutheran World Federation (LWF), the Lutheran Communion in Central and Eastern Africa (LUCCEA) and the All Africa Conference of Churches and of the National Christian Council of Kenya. 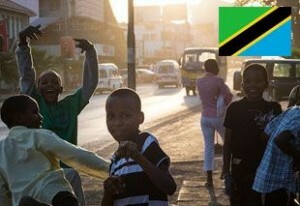 It fosters partner relations with churches and mission organizations in Tanzania, Germany, Sweden and the USA. 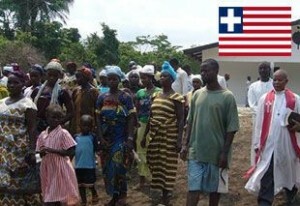 The Lutheran Church in Liberia, (LCL), consists of 8 church districts, is a member of the Lutheran World Federation (LWF) and of the All Africa Conference of Churches and the Lutheran Communion in Central and Eastern Africa (LUCCEA). It fosters partner relations with the Evangelical-Lutheran Church in America, Germany, Sweden and Denmark. The Evangelical Lutheran Church in Mozambique known as “Igreja Evangélica Luterana em Moçambique”, (IELM) consists of three church districts. The church is a member of the Lutheran World Federation, the National Christian Council of Mozambique (CCM) and the Lutheran Communion in Southern Africa (LUCSA) and fosters partner relations with Lutheran churches and mission organisations in South Africa, Simbabwe, Tanzania, Germany, the USA and Brazil. 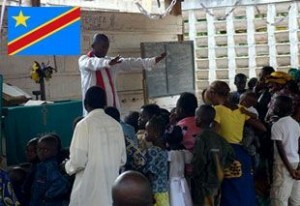 The Evangelical Lutheran Church in Tanzania, (ELCT), consists of 25 church districts. It is a member of the National Christian Council of Tanzania, the All Africa Conference of Churches, the Lutheran World Federation (LWF) and the World Council of Churches (WCC). Moreover, it fosters partner relations with 14 churches and mission organisations in Europe and Northern America within the Lutheran Mission Cooperation, (LMC). The Evangelical Church of the River Plate known as “Iglesia Evangélica del Río de la Plata”, (IERP), has 206 church service locations in 42 parishes, which are scattered all over Argentina, Paraguay and Uruguay. Five out of seven church districts are located in Argentina. Every district elects its district president. The General Assembly called “Asamblea General“, its highest body, is to decide on the guidelines for church work, in-house rules and regulations and ecumenical relations. The Evangelical Church of the Lutheran Confession in Brazil, (IECLB), has resulted from the migration of Germans to Brazil in the 19th century. 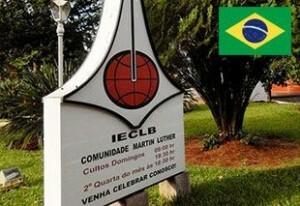 Meanwhile, IECLB has been deeply rooted in the Brazilian society and accounts for nearly 700.000 followers. In some parishes, German is still spoken to some extent in church services and counselling. The IECLB and most of its parishes are mainly located in the South of Brazil. 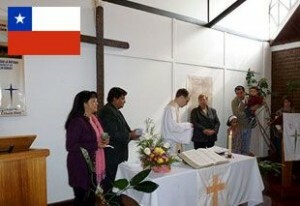 The Evangelical Lutheran Church in Chile, (IELCH), consists of 10 parishes which are primarily located in the slums of Santiago, Concepción, Osorno and Punta Arenas. Since only very few people benefit from the economic growth in Chile and since there is a large gap between income and wealth, the IELCH feels called to work among the poor and oppressed and to set up social welfare projects in those places. 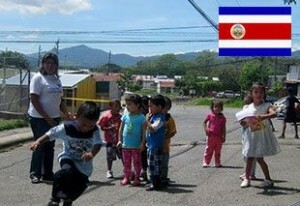 The Evangelical Lutheran Church of Costa Rica, (ILCO), consists of 14 parishes, 5 of which are located in urban areas and 5 in rural areas. There are another 4 parishes who dedicate themselves to working with the indigene population known as Indígenas. The General Assembly called “Asamblea General” is its highest body. The Salvadoran Lutheran Church known as “Sínodo Luterano Salvadoreño”, (SLS), consists of an association of 62 parishes in 6 microregions. Its highest body is the General Assembly known as “Asamblea General”. The SLS is the “pillar” of the CILCA (Fellowship of Lutheran Churches in Central America). The other Central American churches follow their understanding of church, ministry and overall mission they call “Misión integral”. The Christian Lutheran Church of Honduras (ICLH) consists of 11 parishes and 7 mission stations which are mostly run by lay pastors. The General Assembly known as “Asamblea General” is its highest body. 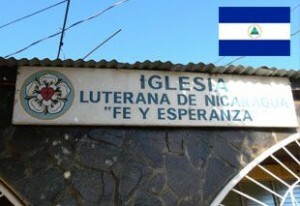 The Nicaraguan Lutheran Church of Faith and Hope known as “Iglesia Luterana „Fe y Esperanza“ de Nicaragua, (ILFE), works in more than 40 parishes along the pacific coast and in the north of Nicaragua. The General Assembly known as “Asamblea General” is its highest body. The Evangelical Church of the River Plate known as “Iglesia Evangélica del Río de la Plata”, (IERP), has 206 locations for church service in 42 parishes scattered all over Argentina, Paraguay and Uruguay. Paraguay has its own church district with 11 parishes. The Fellowship of Lutheran Churches in Central America CILCA. 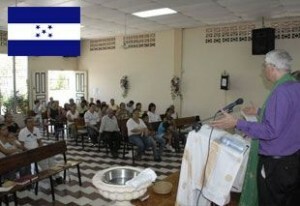 The Fellowship of Lutheran Churches in Central America known as „Comunión de Iglesias Luteranas de Centro America“, (CILCA), is a fellowship of several churches in Central America. Member churches are the Lutheran Churches of Costa Rica, El Salvador, Honduras and Nicaragua. The Evangelical-Lutheran Church of Guatemala participates in the CILCA meetings as an associate member. The Evangelical Church of the River Plate known as “Iglesia Evangélica del Río de la Plata”, (IERP),is nearly spread all over Argentina, Paraguay and Uruguay. Uruguay has its own church district with parishes at Montevideo, Nueva Helvecia and Paysandú. 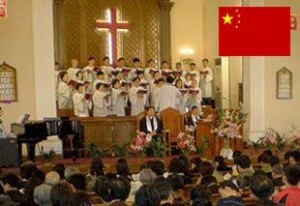 There is no interchurch relationship in China with Mission OneWorld in the traditional sense, but there are relations with the China Christian Council known as the umbrella organization for all Chinese protestants, and the Amity Foundation, a Chinese Christian social development organization. 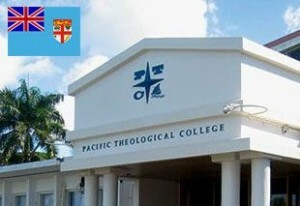 The Pacific Theological College, (PTC), is situated at Suva, Fiji’s capital, and is one of the leading theological training institutions in the Pacific region. Since its establishment in 1961, the college has been an interdenominational institution of learning. Internationally accredited courses of study such as Bachelor and Master and Doctoral Programs have been offered ever since. 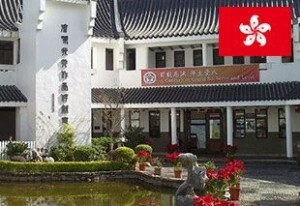 The Evangelical Lutheran Church of Hong Kong, (ELCHK), fosters partner relations with churches and mission organizations in the USA, Finland, Norway, Denmark and Bavaria. It is a member of the Lutheran World Federation (LWF) and the Hong Kong Christian Council. The church is headed by a bishop and the church office is based in Kowloon. All in all, there are four Lutheran Churches in Malaysia. They are united in the Federation of Evangelical Lutheran Churches in Malaysia and Singapore, (FELCMS) and distinguished by their different ethnical and historical background. Mission EineWelt and the Lutheran Church in Malaysia, (LCM), based in Kuala Lumpur, have fostered their close relations over a long time. 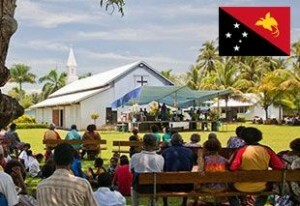 The Evangelical Lutheran Church of Papua New Guinea, (ELC-PNG), is a member of the Lutheran World Federation (LWF), the National Council of Churches in Papua New Guinea and the Pacific Conference of Churches and dates back to the first missionary activities of Johann Flierl in 1886. It is a member of the Lutheran World Federation, the National Christian Council of Papua New Guinea and in the Pacific Conference of Churches. It fosters partner relations with Lutheran churches in Australia, Germany and the USA, in the Philippines and with other churches located in that region. 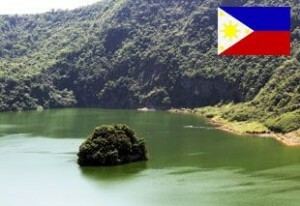 The Lutheran Church in the Philippines, (LCP), consists of three more or less autonomous church districts (North Luzon, South Luzon and Mindanao) headed by a regional bishop. 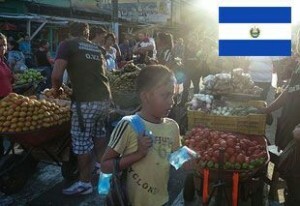 It is a member of the Lutheran World Federation (LWF) and of the National Council of Churches in the Philippines. Partners relations with churches and mission organizations in South East Asia, Papua New Guinea, Germany and the USA are fostered. 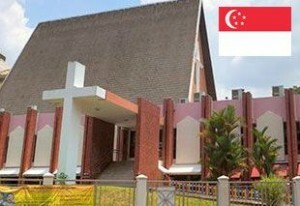 The Lutheran Church in Singapore, (LCS), is a member of the Lutheran World Federation, (LWF), the Federation of Evangelical Lutheran Churches in Malaysia and Singapore, (FELCMS) and the National Council of Churches in Singapore. 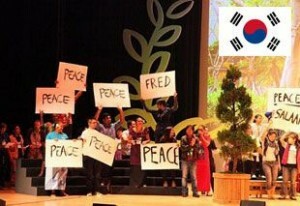 It fosters partner relations with churches and missionary organizations in USA, Bavaria, Australia, Thailand and Japan. The Lutheran Church in Korea, (LCK), is a member of the Lutheran World Federation (LWF) and the International Lutheran Council (ILC), a union of Lutheran Churches that is closely bonded with the US-American Lutheran Church – Missouri Synod (LCMS). 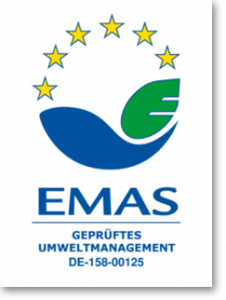 The work of the LCK is supported by its two partner churches LCMS and the Evangelical Lutheran Church in Bavaria. The church office is located at Seoul.